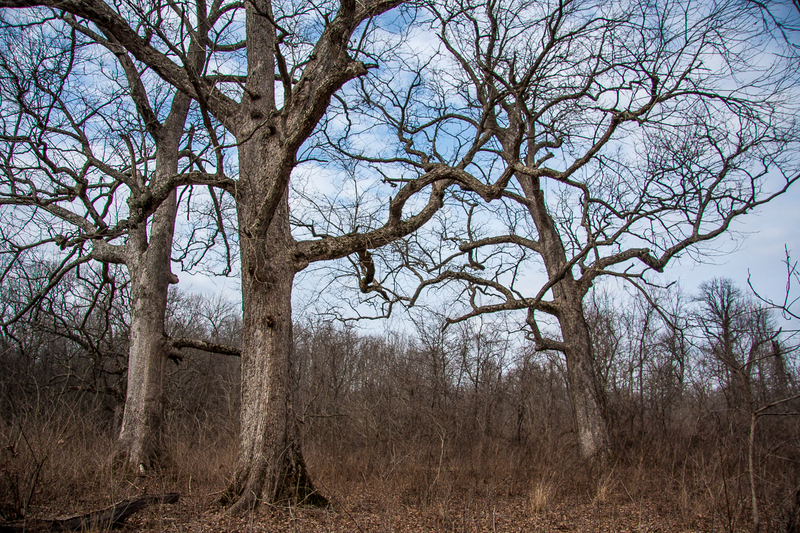 Griffith Woods Wildlife Management Area is a magical place of huge, ancient trees. Some of our favorites are the chinkapin oaks that we call the Three Sisters. Katherine Shaw took this nice picture of the Three Sisters. These are very large, very old trees. However, unlike the kingnut trees that surround them, these chinkapin oaks do not appear to be reproducing. At our upcoming Field Course on March 4, we will take a very close look at these wonderful trees and search for their progeny. Lack of reliable reproduction is a major cause of the decline of our ancient trees and woodland pastures. Posted in Classes and Workshops, News and tagged chinkapin oak, field course, Griffith Woods, Katherine Williams Shaw.